1. There are over 40,000 muscles in an elephant’s trunk housing over 150,000 separate muscle fascicles (fibres that allow the muscle to move in various directions). Humans have only 639 muscles in their entire body! 2. The trunk alone can lift close to 400kgs, yet is delicate enough to pick up a single piece of straw. 3. 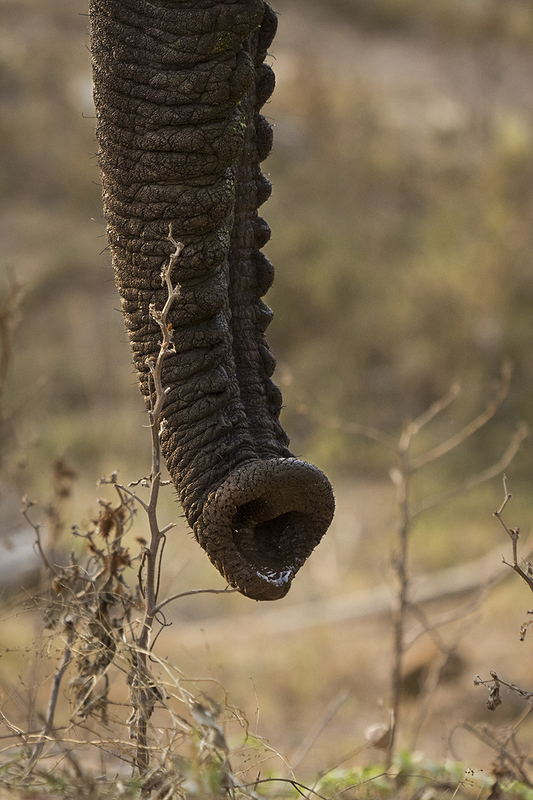 The trunk can hold over 20 litres of water which is why, despite their enormous water requirements (approx. 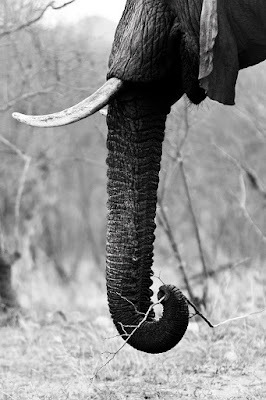 120 litres per day), elephants generally do not linger whilst drinking. 4. Elephants are able to use their trunk like a snorkel, easily crossing deep water totally submerged except for their trunk breaking the surface. 5. 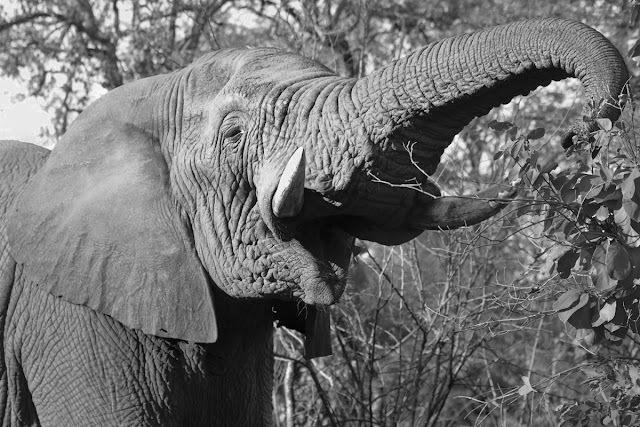 The trunk contains 5 times more smell receptors than humans, and twice as many as a bloodhound. This enables them to smell water from miles away. 6. Such is their olfactory power that projects are training elephants to aid in clearing minefields in areas of Mozambique. 7. When faced with a particularly interesting smell (such a cow’s urine) an elephant will touch its trunk to the source of the odour and physically place it in the organ of Jacobson in its mouth for further analysis. 8. Elephants show a preference to one side of the trunk than the other, thus seeming right or left-handed. This is most obvious during the wet summer months when one side of the trunk becomes stained green from repeatedly plucking grasses. 9. The tip of the trunk contains a layer of cells known as ‘Pacinian Corpuscles’ that are specialised in sensing vibrations. This may be one of the mechanisms enabling elephants to communicate over such long distances using low frequency rumbles. 10. These low sounds are made possible as the trunk acts like a 2m long resonating chamber!